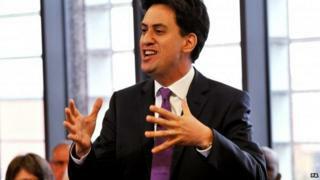 Labour does not have enough of substance to say on public service reform, a former aide to Tony Blair has warned. Nita Clarke said Labour risked looking like it was celebrating the failure of private companies delivering public services. She said the party could not afford to be "rubbing its hands in glee" when private firms made mistakes. And the party could not afford to use such an "insane strategy", she said. Ms Clarke, who worked with the former prime minister in Downing Street, was speaking at a conference run by the right-leaning Labour group Progress. She warned the opposition risked becoming "skewered on its own rhetoric" when public sector scandals took place. "I don't think we've had enough of substance to say on public service reform for the most part," she said. Sharing a platform with Ed Miliband's aide Lord Wood, Ms Clarke said: "We have to be really careful that we're not always seen as attacking the private sector and celebrating their failures. How do you think that makes the staff who work there feel?" She added: "We cannot afford to be rubbing our hands in glee because G4S have cocked up; that's an insane strategy." Lord Wood said "more imagination" was required to improve public services when there was little spare money. He said politicians should not "fight ideological battles" over public sector services and there was a role for private companies. But he accused the government of having a "mania for more and more competition". Also at the Progress conference, shadow business secretary Chuka Umunna declined to defend a controversial election broadcast that cast Deputy Prime Minister and Liberal Democrat leader Nick Clegg as a shrunken figure being chased across the Cabinet table by a cat. Asked about the B-movie style film produced by Labour in the run-up to the European and local elections he said: "I think it elicited a diversity of views, that broadcast. I think you look and try to do things differently. Image caption Chuka Umunna says UKIP "made Europe the problem" and gave people "someone to blame"
"Sometimes it works, sometimes it doesn't. Time will tell with that broadcast." An audience member at a conference said the broadcast made her embarrassed and sick to the stomach. Answering her question Mr Umunna commented: "You live and learn." Earlier, Mr Umunna told the conference that Labour should give people "hope and optimism for the future". He said the "easy thing would be to rejoice in the Lib Dems' discomfort, as the biggest losers" in recent local and European elections. But "the people we represent could not care less about... the Westminster soap opera. So in our response let's focus on the people, not us [politicians]". Mr Umunna said UKIP had topped the European polls because "like all history's successful ideologues, they tapped into that feeling of being out of control and have given people... something and someone to blame". He said the "issues people are worried about are real" but UKIP had "made Europe and immigration the problem" with a "deliberate and maliciously distorted analysis". UKIP, which opposes the UK's EU membership, said the election results showed it was now a national political force that appealed to all social classes. Mr Umunna said: "Europe isn't perfect. We know that. But it isn't the main problem. If we give up on it, our consequent reduced influence on the world stage - economically and politically - will become a very big problem. "If we work at it, it can be part of the solution."